Some label applications require specific criteria, such as resistance to abrasion, or good adhesion on difficult to label surfaces, while other label requirements can be the opposite e.g. easily removed, without residue, from delicate fabrics. It might be essential that labels withstand extremes of temperature, exposure to moisture/water or, provide evidence of unauthorised removal. Therefore, the specialist materials and adhesives shown here meet these needs and add to a growing list of demanding specialist label requirements. All of the label materials can be found using the navigation bar at the top of the page or, by using the links provided here. Our Cryogenic labels are ideal for the identification of metal/stainless steel racks and laboratory test tubes and vials in low temperature freezers and liquid Nitrogen tanks. The labels are made from a thermoplastic film and coated with a glove-friendly cryogenic adhesive. The labels remain strongly attached to stainless steel, aluminium, painted metal, powder coated metal, iron and other metal surfaces, borosilicate, Pyrex and other temperature resistant glass during a long-term storage and numerous freeze/thaw cycles inside a liquid phase liquid nitrogen, vapour phase liquid nitrogen, freezers (-120°C, -80°C, -40°C and -20°C), dry ice, freezer chamber, freezer room and other extreme cold environments. 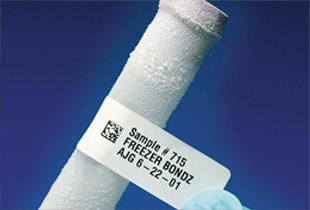 Cryogenic labels can be used for identification of freezer racks, cassettes, X-ray film cassettes, film cans for archiving and other stainless steel and aluminium boxes, drawers, sleeves and canes for cryogenic straws, tools, equipment and metal objects inside freezers and all glassware in freezer rooms, liquid nitrogen tanks and, liquid helium. 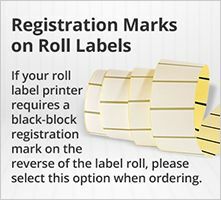 Available in roll and sheet formats as printed or plain labels and compatible with laser (sheets) and thermal transfer (rolls) printers, for over-printing. This matt white Polyethylene label and specialist adhesive are designed to withstand high temperatures, in excess of 100°C, for intermittent periods of time. A useful high temperature resistant label material and adhesive for PCB’s and electronic component identification where tracking through harsh production and manufacturing processes is critical. The matt white Polyester label material is thinner (87µm) than the Polyethylene material (178µm) and slightly more useful for labelling small radius curves and flexible surfaces, with a slightly higher level of heat resistance. Also used to label automotive engine components, heating systems and other applications such as machinery and covers on electrical supply points. Also, useful for chemical drum labelling and other industrial and logistics applications. 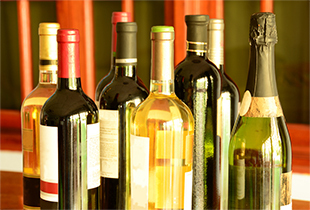 Due to the exceptional thickness and stability large label sizes can be used. The Polyethylene face-stock is compatible with laser and thermal-transfer printers. DISSOLVING PAPER LABELS Over 1,000 combinations of shape and size, to choose from and buy online. 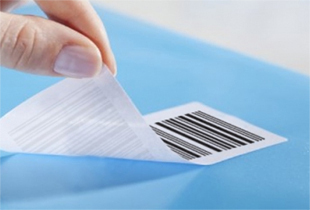 This product has been specifically designed for the logistics/transportation industry labelling applications when the batch/shipment information labels need to be removed and can now be washed off quickly without leaving residue, but while in transit remain firmly adhered, even in freezer temperature conditions. The entire label comprising paper face-stock and adhesive dissolves in a very short time in cold water without any additional washing process. Delivering significant labour savings in the time taken to remove and re-label consignment cages and trays etc. The labels also have many other applications for the storage of frozen food, goods and the labelling of glass containers. View more & Buy OnlineFor product availability please contact our customer care team. A specialist purpose permanent acrylic based, pressure sensitive adhesive. The adhesive is characterised by a high initial tack, excellent adhesion and both high and low temperature (freezer) performance on a wide variety of substrates. The adhesive dissolves in cold water. Designed for general textile labelling applications where a degree of removability is needed. 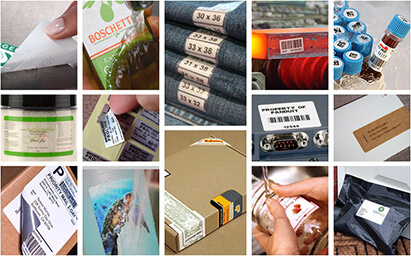 The high cohesion of the adhesive assists clean and stable performance for clothing labels. However not suitable for labelling silk, leather, suede and PVC fabrics. A pressure sensitive, permanent adhesive compound of acrylic emulsion with a wide usage temperature range e.g. 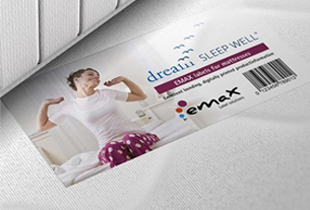 The matt white PVC label is a highly durable and permanent, tamper evident security material. Once applied to a surface if attempted to remove will break-up into tiny fragments of label due to the frangible nature of the face-stock, providing evidence of attempted removal. Because of the specialist, highly frangible nature of the face-stock material it is printable in sheet format with laser and thermal-transfer printers, however we always recommended trialling a sheet of sample material before ordering. The adhesive also has an impressive operational temperature range. 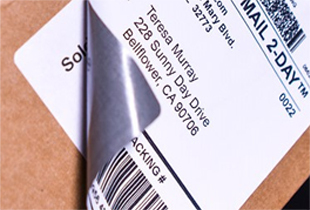 When it is likely that goods will be exposed to the elements in transit, or external signage requires amending, then it is important to not only select a durable label material, but a weatherproof adhesive as well. 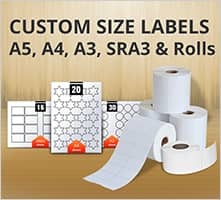 Our Polyester, Polyethylene and PVC labels provide a choice of options, dependant on the requirements. 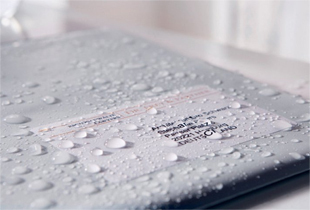 Polyester labels are thin, flexible and hard wearing with a permanent water-resistant adhesive. 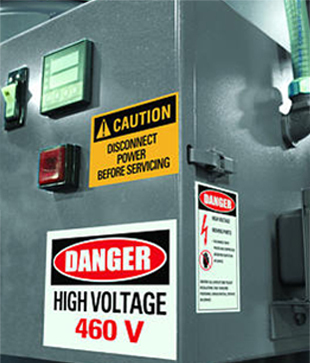 Polyethylene are thick and durable labels with a permanent high-tack adhesive, providing immediate “grab” on rough and difficult to label surfaces. The ultra-destructible PVC security label material has excellent resistance to weather conditions, including temperature e.g. The black PVC label material is ideal for block-out/cover-up of obsolete information on external signage with very good weatherability. 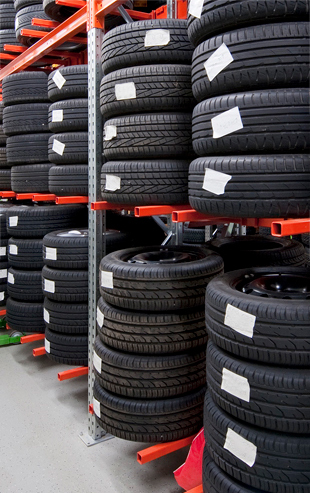 When attempting to label curved and/or silicone coated surfaces, such as new silicone coated rubber tyres or stainless steel, the label edges often lift before the adhesive cures, because of the curvature or coating and often both. The weight of the aluminium backing on this matt white paper label with a super-permanent adhesive compensates for this outcome by allowing the label to lay flat until the adhesive adheres firmly. Labelling difficult non-polar and flexible surfaces is not always straightforward, but with a thinner Polypropylene label and a super-permanent adhesive the problem becomes easier to solve. 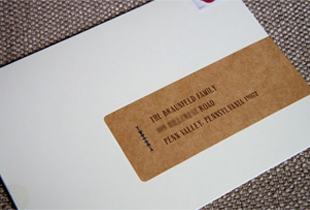 Our standard paper label with a super-permanent adhesive is ideal for ensuring that labels stay in place during variable transportation conditions and also for coated board and card surfaces where the requirement is for the label to remain adhered from the moment of application and not need time to form the permanent adhesion required. Because of the aluminium backing on the matt white paper the compatibility with laser and inkjet printers can be problematic and for this reason we always recommend trialling a material sample before ordering if printing yourself. Thermal-transfer printers are generally problem free with this material, which also has very good cold temperature performance. The label is compatible with laser and thermal-transfer printers and has a good temperature range. 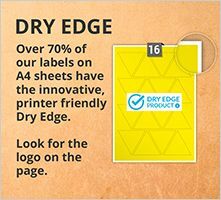 The label is compatible with inkjet, laser and thermal-transfer printers and has a very useful temperature range. Polyester labels are also a good choice for plastic and terracotta plant-pots, with their surface durability, resistance to abrasion and water-resistant adhesive. 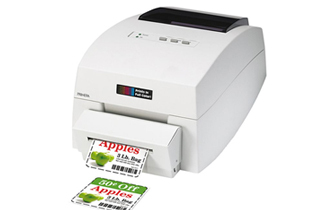 In sheet form these labels can be printed on a standard desktop laser printer, although if the label is only temporary an alternative is to use a Polypropylene label printed via a direct-thermal printer. A direct thermal white Polypropylene label with a removable clear acrylic based adhesive, ideal for plant pots and items for which the customer will want to remove the label after purchase. 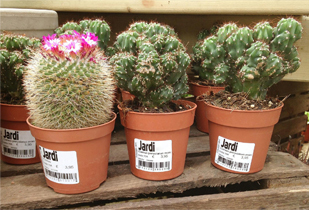 Although a removable label the adhesive has good initial tack and adhesion, with a very broad temperature range and weatherability, making it useful for items on display in garden centres open to the elements. If a roll label thermal printer is not being used to overprint labels then our matt-white Polyester labels with a strong, permanent water-resistant adhesive are also a good choice for both plastic and terracotta pots and planters. 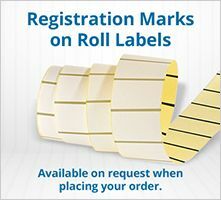 A very popular Polyester label material for information labelling where durability is important for HSE compliance e.g. 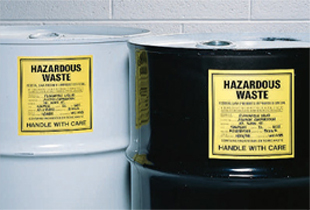 chemical containers, paint and solvents etc. The label face-stock is compatible with laser and thermal transfer printing, has good UV stability (non-yellowing) when used in external applications and a high level of water resistance, once applied. This product complies with the materials section of BS5609 Part 2 (Marine Immersion), which is a recognised standard for self-adhesive labels for marine use. It contains provisions to ensure that dangerous goods transported by sea should be durably labelled and identified. This includes surviving immersion at sea. Section 2 details the requirements for pressure-sensitive adhesive laminates and rates their performance in terms of dimensional stability, adhesion, artificial weathering, temperature cycling and colour fastness, together with exposure to marine conditions for three months. 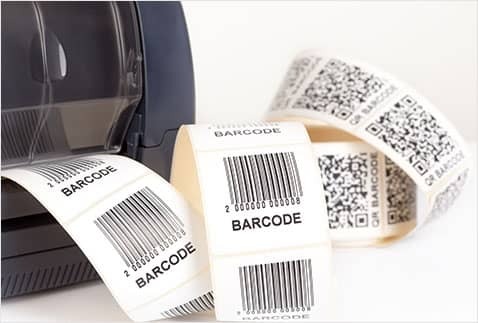 Customers printing labels themselves for the purpose of BS5609 compliance should independently determine the compliance of the ink and print process involved in the production of labels to the British Standard. The luxury paper range is an embossed pulp paper created to have good wet strength. To which has been added an acrylic based pressure sensitive adhesive with good adhesion to wet surfaces at low temperatures. 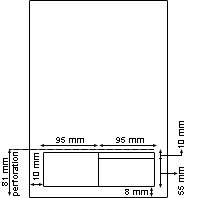 The adhesive has been designed for the labelling of glass containers e.g. bottles and jars with excellent resistance to immersion in ice-water. The material manufacturer tests the water resistance by placing a blank (unprinted) label on a standard glass bottle and five days later the bottle and label are submerged in an ice bucket containing ice and water for a minimum period of 4 hours, at the end of which the label remains firmly adhered to the glass bottle. In addition to white this attractive paper face-stock is also available in a selection of subtle matt colours and a pearlescent finished paper called Frozen Quartz. 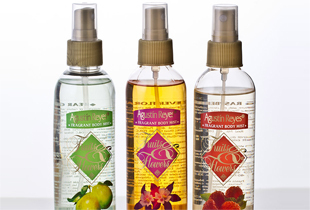 Collectively this material range is the ideal choice for bottle and jar labelling. Change is constant and when there is a need to amend important information but, re-printing or, reproducing literature and signage is cost-prohibitive, then a block-out and cover-up label provides a cost-effective means of updating and/or correcting mistakes. Desktop inkjet printers tend to print fine with matt, un-coated, absorbent papers, but when it comes to gloss paper and Polymer materials, because of the aqueous nature of the ink the drying time is insufficient and images smudge on emergence from the printer. By applying an instant-dry top-coating to the material this problem can be overcome, providing high resolution, smudge-proof, good colour resolution and high-speed print output on gloss finish paper and Polypropylene, including clear material. When labelling an attractive content in a clear glass jar or plastic container, or overlaying a secondary promotional label on a branded background, you do not necessarily want to see a white, or coloured label, aesthetically detracting from the brand image. Clear Polymer films allow you to create brand and informational labels that add to the packaging appeal by appearing to be part of the package substrate. Clear gloss Polyester and Polypropylene (available in both label roll and sheet formats) labels are available with permanent adhesives suitable for use in a wide temperature range of applications e.g. While most of our paper label materials are FSC (Forest Stewardship Council) certified, which is the guarantee of economically viable, environmentally responsible and sustainable forestry management. We also offer a recycled paper material, with a permanent adhesive in both roll and sheet formats. 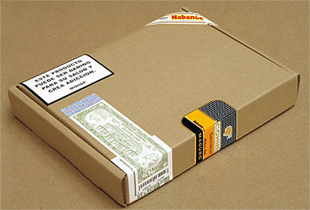 Even though this is a recycled paper label the face-stock is also made with FSC certified pulp. 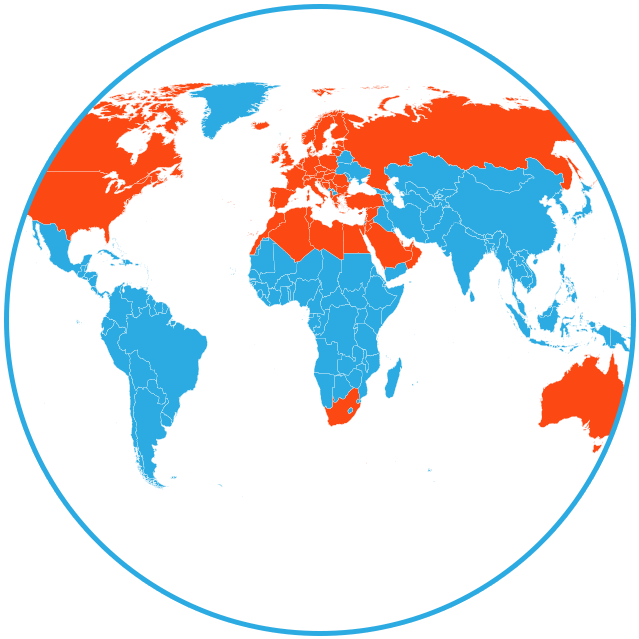 It is compatible for printing with both inkjet, laser and thermal-transfer printers. With a permanent adhesive the label has multi-functional usage applications and can be safely used for most standard food packaging and although not classed as a freezer adhesive it has a very good temperature range. 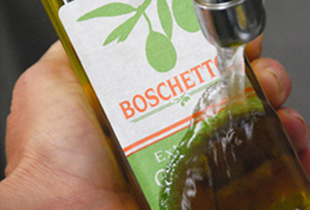 Removable labels use specialised adhesives that provide a secure bond to the surface material yet allow the label to be removed without leaving adhesive residue, damaging the surface, or tearing the label. With the range of adhesives available today, removable labels can provide light, temporary bonds on top of labels with permanent adhesive that can withstand the rigors of shipping or product labelling and still be easy to remove without leaving residue or causing damage. Removable labels are available as paper, Polyester and Polypropylene labels, some for use with direct-thermal printers. 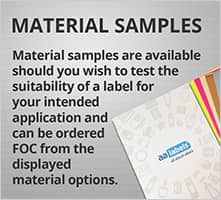 If you need additional assistance or help in deciding the most appropriate material and adhesive for your label application. 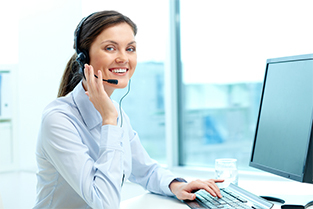 Please do not hesitate to contact our customer care team for technical advice, via the live-chat facility on the page, our website contact form, telephone or, email and they will be happy to discuss and assist by providing information relevant to your requirements.